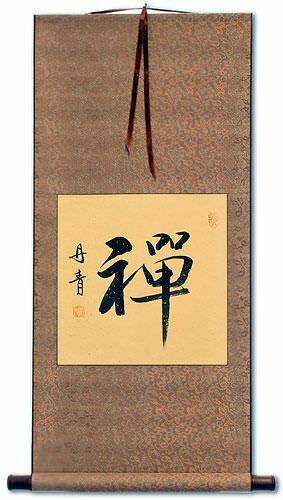 Artwork Panel: 31.5cm x 31.5cm ≈ 12½" x 12½"
Silk/Brocade: 40.6cm x 88cm ≈ 16" x 34½"
Width at Wooden Knobs: 49.6cm ≈ 19½"
This is the character that is Romanized and pronounced "Zen" in Japanese. 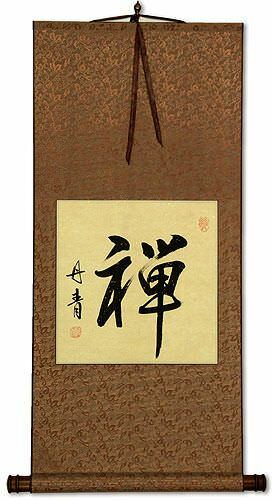 This character actually means "meditation" and is often associated with a practice (and sect) of "Meditation Buddhism" or "Zen Buddhism". This character and concept originally came from China, where this character is Romanized and pronounced "Chan". 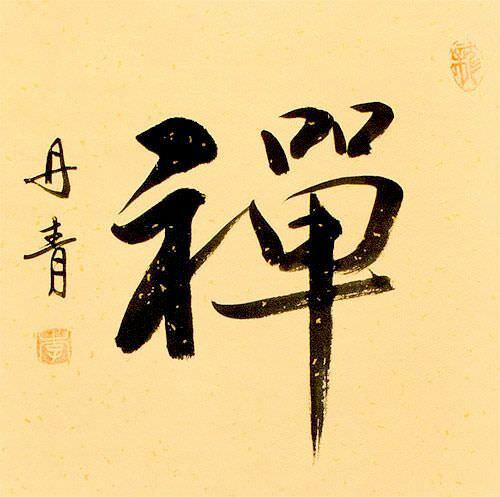 In China, this character was sometimes written in an alternate or "shorthand" form: This shorthand form is now the official Simplified Chinese version, but this form has existed for over a thousand years. Want a Zen wall scroll completely customized to your desires? 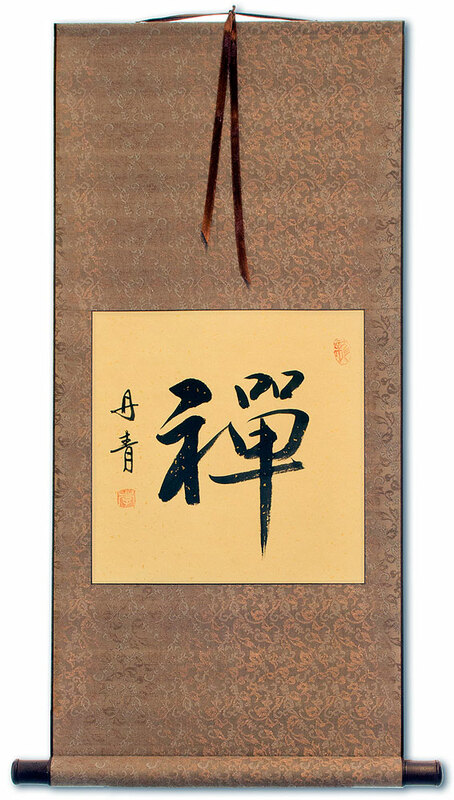 Link: Options for custom Zen and Chan-related Chinese/Japanese/Korean calligraphy are available here! 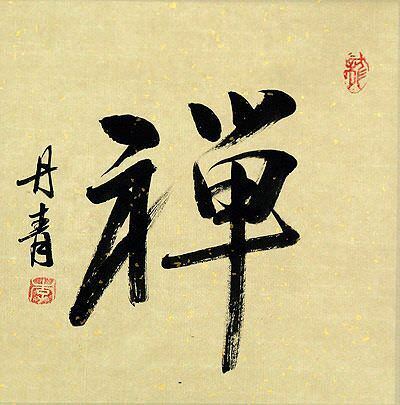 This calligraphy was created by Li Dan-Qing of Beijing, China. Materials are xuan paper (known in the west incorrectly as "rice paper") mounted to a silk brocade wall scroll. Painted by hand, and the wall scroll is crafted by hand.